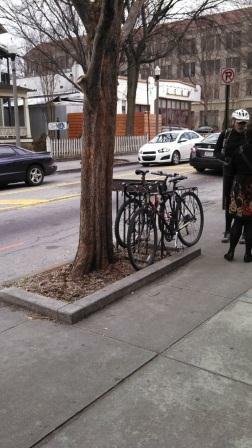 New Bike Racks…Thanks Public Works! 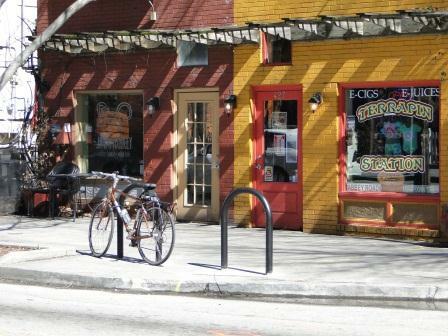 Thanks to our great friends at Decatur Public Works, we have two NEW and actual bike racks in front of Java Monkey. 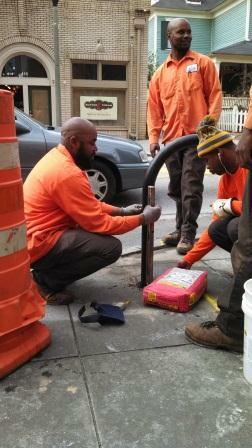 We so appreciate Gerry Knotts, Derrick Jackson and the rest of the crew for installing them. Notice how meticulous they are – using the level to ensure that it is perfectly vertical. Glad to see they are already being used!